What will Pakistan achieve from PM Imran Khan’s visit to China? 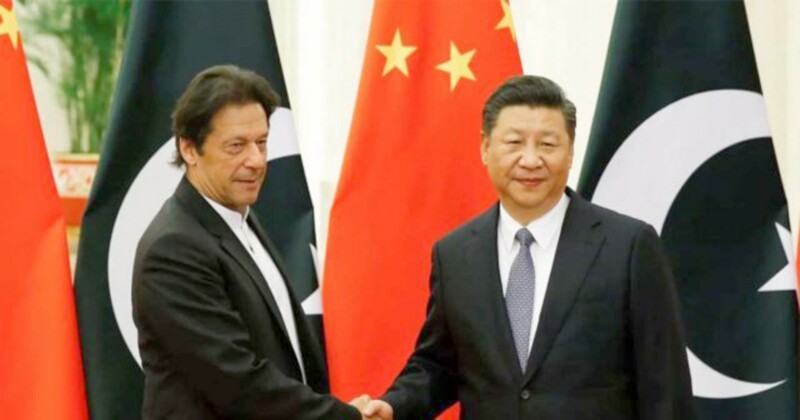 Pakistan Prime Minister Imran Khan, on his first official visit to China, met the Chinese President Xi Jinping and lauded the way China has been able to eradicate corruption and alleviate poverty. He expressed his desire to learn from China to work upon the same problems back home. He also expressed the dismal state of the economy with which the country was handed over to run for him and his party by the previous government. “My party has only been in power for two months. Unfortunately, we have inherited a very difficult economic situation,” PM Khan was reported to have told the Chinese president. “Countries go in cycles. They have their high points, they have their low points. Unfortunately, our country is going through a low point at the moment with two very big deficits, a fiscal deficit, and a current account deficit. And so we, as I’ve said, have come to learn,” Imran Khan said. President Xi Jinping assured PM Khan of all sorts of cooperation and termed the friendship beneficial for not only both countries, but for the entire region. “I attach great importance to China-Pakistan relations and am willing to work together with the prime minister to strengthen the China-Pakistan all-weather strategic partnership and build a new era of China-Pakistan destiny,” Xi said. About 15 Memorandums of Understanding (MoUs) for cooperation between China and Pakistan in multiple fields were signed in Beijing by officials of both countries. There is an overzealous debate in Pakistan that should the Prime Minister had traveled to China at such a crucial juncture when the entire country was literally on flames. Prime Minister Imran Khan himself has criticized the ruling leadership for traveling abroad when there was security chaos in the country. But apparently, the government has more pressing priorities on the mind especially to get the country out of the current economic whirlpool. From Saudi Arabia to UAE and now China, the government is desperately trying to avert another IMF bailout. So far the efforts have met with success from every door government has knocked. Information Minister Fawad Chaudhary also stated that there will be good news soon regarding the economic package which the government is anticipating from China. If the reports are to be believed, China will be granting $6 billion in terms of the loan which will make the equation, accounting the loan from Saudi Arabia and UAE, viable enough to abort the IMF plan altogether. It was speculated that the incumbent PTI government is mulling over the possibility of re-negotiating some terms regarding the China Pakistan Economic Corridor. The discourse of Pakistan’s economy is still not clearly defined as the country is not self-sufficient in Agriculture, the industries have been shutting down because of insufficient energy and hostile policies and the services sector is not even competitive. In the light of these circumstances, out of the box ease provided for the Chinese companies under CPEC is further going to deteriorate the situation. After the congratulatory visit from Chinese Foreign Minister, the government had issued a statement about CPEC being the top priority. But the comments which came afterward from Commerce advisor Abdul Razzak Dawood brought Chinese to their toes. “Chinese companies received tax breaks and have an undue advantage in Pakistan; this is one of the things we’re looking at because it is not fair that Pakistani companies should be disadvantaged,” Dawood had said. The statement did cause somewhat anxiousness among the Chinese investors but later on, both the government agreed to negotiate the future course of CPEC. Prime Minister Imran Khan will be looking to secure some advantage for the local manufacturers who are going out of business due to excessive leverage being given to the Chinese companies. PM’s visit is underway and bilateral agreements in multiple domains are expected. But the success of the tour can be culminated in securing the economic package which would avoid the IMF bailout and its subsequent conditions which the government has to abide by.